The awards, decided by industry experts, recognise and reflect the hard work PR professionals across Yorkshire and Lincolnshire have put into our PR campaigns throughout the year and to our excitement, we’ve been shortlisted once again for a number of awards. This year sees our ‘Dial a Direwolf’ campaign shortlisted for Best Low Budget Campaign thanks to the help of our furry friends who roamed around Leeds, creating a buzz about the new pop up Game of Thrones bar in The Light Shopping Centre. We have also been shortlisted for Best Use of Digital and twice for Best Use of Social Media for our ‘Making Christmas ‘Real’ Again’ campaign and our work with Watches of Switzerland over in Switzerland for Baselworld. Finally, we have also been shortlisted for the prestigious award of Outstanding Public Relations Consultancy, something we could have only dreamed when we were a small team of three back in Chris’ garage. 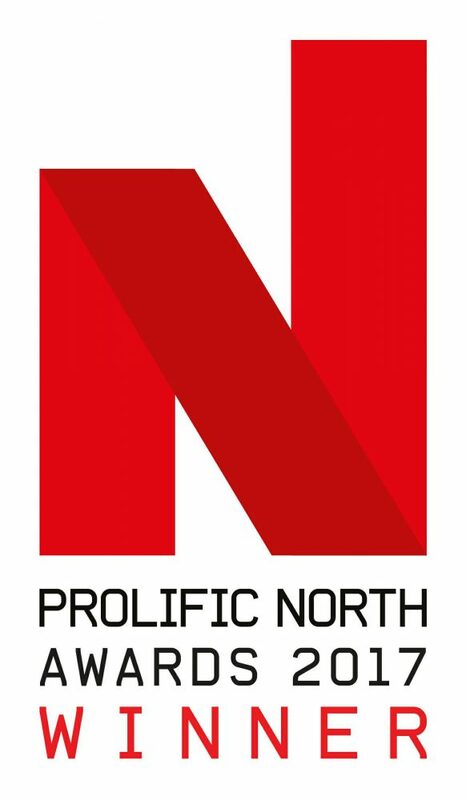 Much to our excitement, we have already seen one win this year at the Prolific North Awards from our work with florist, Interflora, for Best Integrated Communications Campaign. As a specialist PR and social media agency, integrated PR campaigns are our thing – so it was great for our expertise to be recognised at this year’s awards. The campaign was birthed from our research, which found the worst and best dates to have a birthday, and was implemented during Christmas time. As any PR practitioner will know, it is difficult to ‘cut through the noise’ during the festive season, so it was hugely important for us to focus on anything but Christmas gifting. As a team, we came to the decision to run a second phase of the campaign the following summer, focussing on the best date to have a birthday, which was in July. Along with both of these campaigns creating a significant amount of coverage and online conversation, it was decided to go one step further and create ‘The Ultimate Birthday Surprise Video’. The video saw a huge surprise birthday party stunt in Southampton, which included a flash mob, a horse-drawn Disney themed carriage and afternoon tea with all of her friends and family at an exclusive Southampton hotel. The content received the greatest organic reach ever for a piece of content on Interlora’s Facebook page. Overall, the campaign was hugely successful and achieved more than 146 pieces of radio coverage and 140 pieces of national and regional print coverage, with a total circulation of 337 million for print and 355 million opportunities to hear for radio, and genuinely drove online conversation. Following the success of previous years (and already this year), there are high hopes in the Prohibition office that a winning streak is on the cards. In 2016 we managed to scoop up Best Consumer Relations Campaign for the ‘Worst Birthday’s’ campaign with Interflora and in 2015 we won Outstanding Small Consultancy, so our fingers are crossed that the 2017 PRide Awards brings us something to smile about. We find out if we have been successful on the PRide Award night on the 30th November so you can count on us keeping you updated then. In the meantime, fingers crossed!